On Sunday nights, I find myself at the local bowling alley, part of an amateur happy hour bowling league. I am by no means exceptional at the game, but I do enjoy it and beer never hurts the sport either. 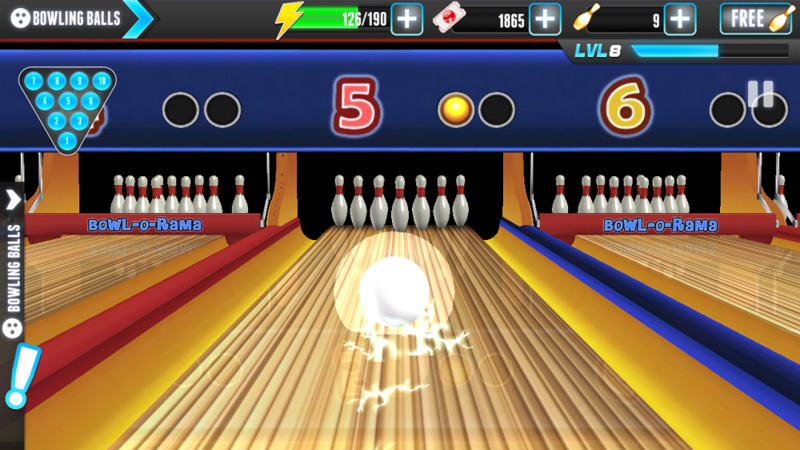 If you also have a fondness for the sport, you should check out PBA Bowling Challenge. It’s an official title, which means you play against real pros in the game such as Chris Barnes, Walter Ray Williams Jr., and Pete Weber. The app in terms of gameplay is quite good. There are many different balls to choose from and as you progress through the game winning tournaments, you unlock more equipment. To make the game a bit more exciting, they also added in three special balls – a lightning ball, a bomb ball, and a split ball (definitely helps with the 7-10 splits). As you can imagine, once you get to the top tier players, the game becomes exceptionally hard, especially when you can’t seem to master the in-house oil pattern. Either way, it’s a good game and is completely free on Google Play. There are in-app purchases, but are 100 percent not needed to beat the game.